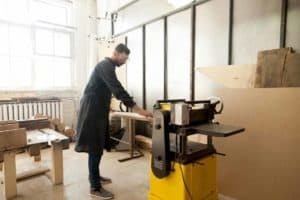 / Hand Planer vs Bench Planer: Which is the Best Wood Planer? As with most tools, planers were previously only available in manual, non-electric varieties. Today, there are lots of electric variations to choose from that are specifically designed to make every project easier and much faster. This brings us to the question, which is the best wood planer, hand planer vs. bench planer? What is a Hand Planer? What is a Bench Planer? There are plenty of different things to take into consideration when comparing the two and it’s important to think about their purpose, how easy they are to use as a beginner and the level of convenience they have to offer. A hand planer may be a manual tool but it certainly isn’t an outdated one. In fact, there are plenty of woodworkers who prefer to use hand planers for a variety of projects. 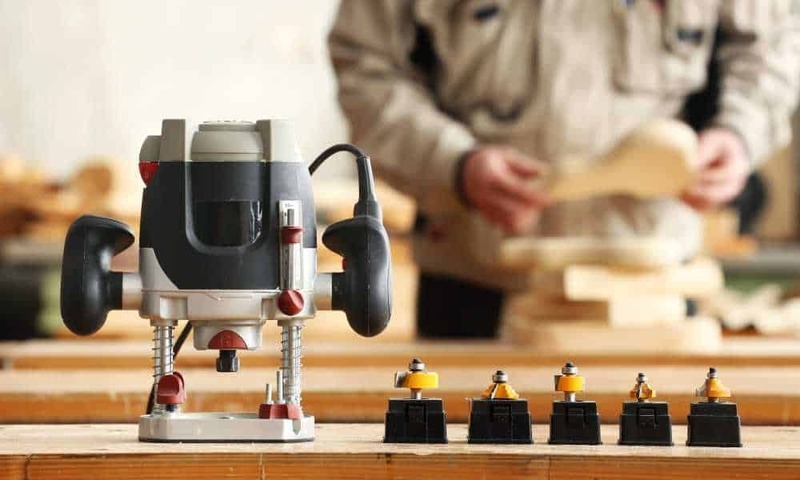 Most people will have several different types of planer in their toolkit and in many instances, there aren’t any tools that work as well as a planer. Planers are specifically designed to help you trim slivers off the surface of the material you’re working on. However, they’re not the ideal tools to use for every type of material as using them on rubber, plastic or metal can cause the blades to dull and break, they are ideally created to be used on wood. 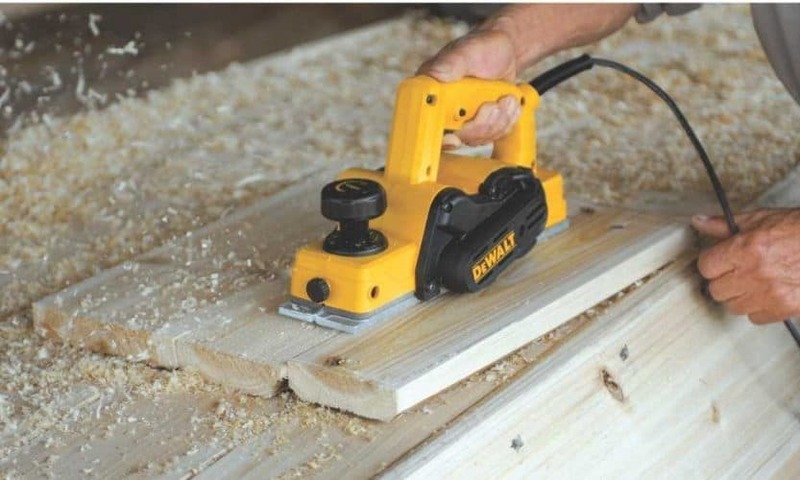 Versatile Uses: Since they're available in both electric and manual varieties, planers are incredibly versatile tools that are phenomenal for industrial projects as well as more intricate projects. 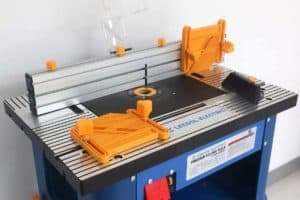 No matter whether you’re simply trimming wood down to a specific size or are interested in improving the exterior finish to your materials, a planer can be quite useful. 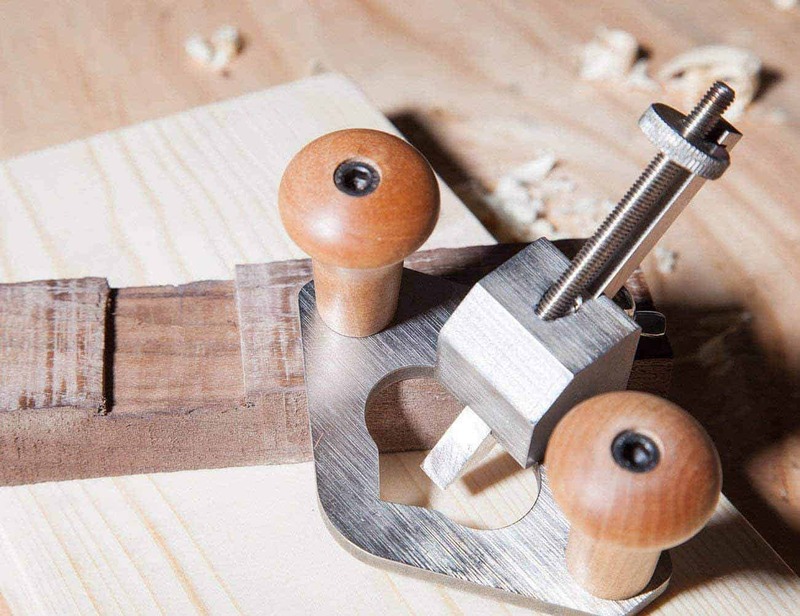 Essential for Fine Woodworking: Fine woodworking is a skill that requires lots of different manual tools and years of experience. Using an electric hand planer wouldn’t be the best option for fine woodworking, though a manual one would be perfect. This is something that a bench planer simply cannot do, as it’s designed to work with the product in bulk, whereas a hand planer is perfect for intricate carving and cutting. Affordable: Saving money on tools is an advantage to choosing a manual hand planer as there are plenty of models that are available for as little as $40. This can be quite useful, especially for beginner woodworkers who don’t want to invest hundreds of dollars into an electric bench planer. 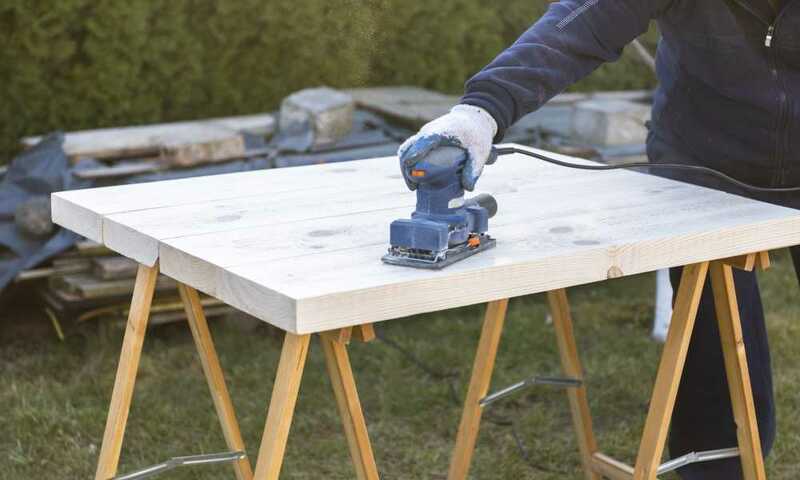 A bench planer can be a phenomenal tool to use if you’re working on large-scale projects or if you’re responsible for refurbishing large pieces of wood. 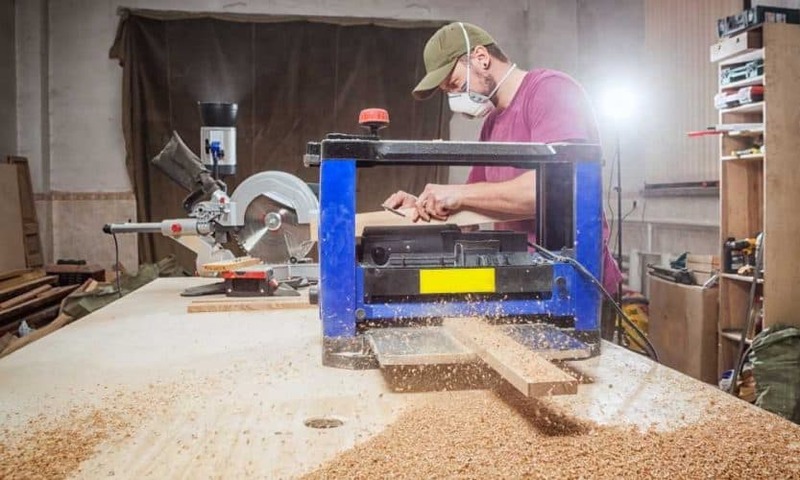 The entire premise behind the machine is to make it substantially easier to work through bulks of wood in half of the time that it would take to use a hand planer. 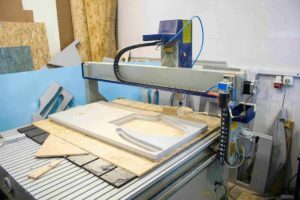 However, bench planers aren’t recommended for every woodworking project, as they don’t give you the customizable versatility as a tool that you can hold in your hand. Bench planers, much like their name suggests, are designed to be placed on a flat surface or bench. They are bulky machines that you certainly cannot hold in your hand and are great for designated workspaces as they’re not the most portable tools to have at your disposal. 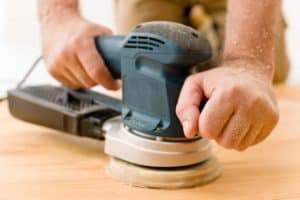 Easy to Resurface Wood: If you’ve ever had the opportunity to use a bench planer in the past, you undoubtedly know how easy they make resurfacing wood. This is particularly important if you’re more interested in salvaging reclaimed planks rather than purchasing surfaced wood from the lumberyard. Dust Collection: Another huge advantage that a bench planer has over a hand planer is its ability to collect dust after each cut. 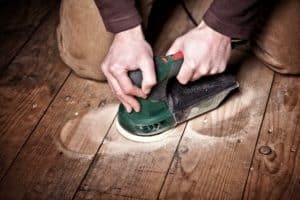 Cleaning up after a long project can be quite overwhelming and keeping debris off the wood you’re working on can be a task. 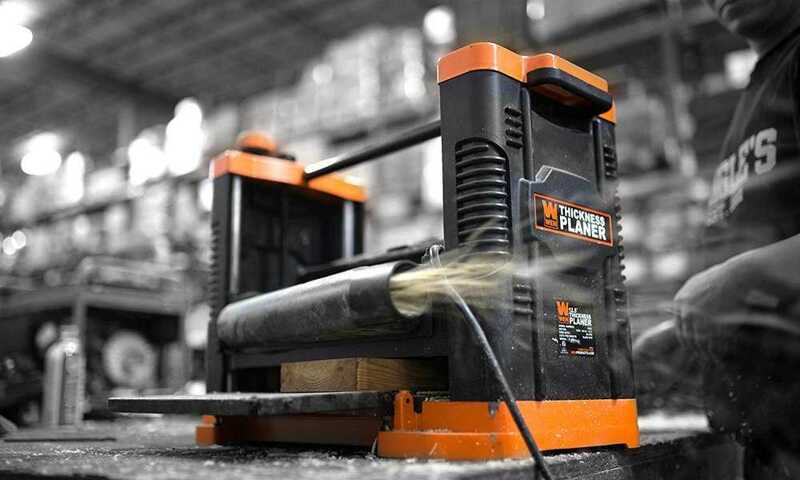 However, with a bench planer, you’ll have the ability to collect dust after every swipe. At the end of the day, the most important thing to think about is the project you’re going to be working on. Hand planers are phenomenal for more intricate projects or tasks where you want to have a lot of control. On the other hand, bench planers are recommended for industrial projects where you’ll need heavy-duty equipment. Each has their own benefits, so it’s up to you to choose which style of planer will work best for you.